Rockleigh, N.J. – Mar. 21, 2017 – Volvo Cars has recalled more than 5,500 vehicles due to a serious side-curtain air bag defect. The recall impacts Volvo S90 sedans manufactured between November 2016 and January 2017, as well as V90 Cross Country and XC90 luxury sports utility vehicles produced over the same span, according to documents from the National Highway Traffic Safety Administration. The bolts securing side-curtain air bag structures in these models are likely to break due to manufacturing error. Hydrogen embrittlement is the primary cause, an issue that arose due to variability in the bolt fabrication process. Once applied, the fasteners quickly deteriorate, showing signs of failure within 48 hours installation. Fixtures that manage to effectively secure side-curtain air bag assemblies for at least 48 hours are deemed structurally sound, while those that fail or falter must be replaced. The defect poses serious safety risks, as the side-curtain air bags may not deploy properly in the event of a crash. No injuries have been connected to this defect. Engineers at the Swedish automaker first caught wind of the defect in early February, when a report chronicling the discovery of broken bolts in one vehicle was submitted to corporate. Volvo representatives investigated the event further and found that the fasteners had come from the side-curtain air bag assembly. The automaker then contacted the parts supplier, Autoliv Poland, and reported the issue. On Feb. 10, Volvo’s Critical Concern Management Team elected to start the recall process. The internal group then blocked new vehicles containing the faulty bolts from shipping out three days later. Volvo notified the NHTSA officials and dealers Feb. 16. The automaker has ordered dealers to replace the bolts free of charge, according to NHTSA documentation. Owners are expected to receive notification April 1. Rockleigh, N.J. — Mar. 01, 2017 — Three different models of light 2017 vehicles from Volvo are included in a new recall action and may suffer from a fault that could put vehicle occupants in danger. Exactly 5,529 vehicles were said to be included in the recall, although the official Part 573 Safety Recall Report filed with the National Highway Traffic Safety Administration did not list a percentage. 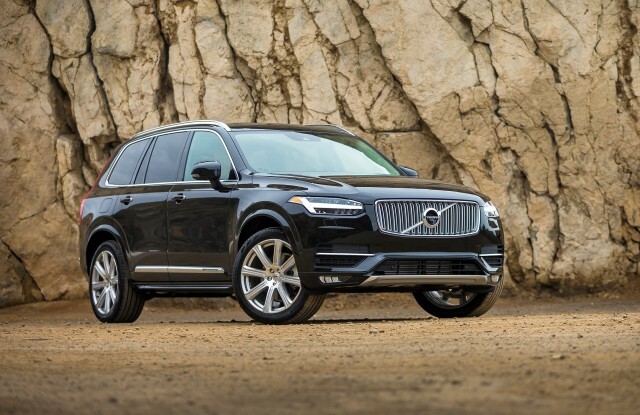 The recall includes XC90, S90 and V90CC vehicles. The report described the process that could affect certain vehicle parts as “hydrogen embrittlement.” According to this source, the air bag curtains were assembled, in some cases, by faulty bolts treated by Polish supplier Autoliv Poland Sp. Z O.o. Nov. 14, 2016-Jan. 31,2017: Affected models go through production. Feb. 10, 2017: Volvo’s Critical Concern Management Team began preparing for the recall following an initial vehicle report. Feb. 16, 2017: An ongoing investigation continued as the Part 573 report was submitted. Dealer notification also began, extending until Feb. 23. Feb. 24, 2017: The acknowledgement statement for the recall appeared. Although owner notification is not set to begin until April 1, the manufacturer has already planned for actions to fix the defective bolts, including an inspection and replacement process. Last year, the Volvo S90 was part of an unrelated air bag recall, regarding an air conditioning fault that could gradually affect air bag deployment by leaking moisture into the vehicle’s interior. The fix required replacing an air conditioning drainage hose in some cases. Volvo is recalling more than 5,500 cars in the U.S. to fix a problem with their airbags. The National Highway Traffic Safety Administration reports that some of the inflatable curtain airbags in those vehicles may have been installed using poorly manufactured bolts, which could dramatically increase the risk of injury to occupants during crashes. Jan. 10, 2017 – Greensboro, N.C. – Volvo Trucks North America has announced a safety recall of numerous vehicle models due to overloaded wheel hubs that threaten to cause control losses and crashes. Volvo will recall model year 2017 VHD, VNL and VNM buses manufactured between Feb. 19, 2016 and June 21, 2016, according to documents compiled by the National Highway Traffic Safety Administration. The front hubs on these vehicles do not support the gross axle rating of the front axles. The company revealed that hubs rated for 13,200 pounds were used along with axles rated for 14,600 pounds. The problem is that this defect could cause hubs to fail prematurely due to the weight. If front hubs separate from front axles, drivers could quickly lose control and potentially face injury or death. Volvo views this recall as a proactive measure, as no incidents of hub failure have been reported as yet. Sept. 15, 2016 – Volvo noticed that there may have been an error with hub rating identification. Oct. 12, 2016 – The Volvo Product Safety Working Group opened an investigation into the issue. Nov. 21, 2016 – Following this preliminary investigation, the issue was elevated to the Product Safety Committee for further consideration. Dec. 13, 2016 – Volvo determined that the issue was indeed a serious safety defect. Dec. 20, 2016 – Volvo notified the NHTSA of its intention to conduct a safety recall. Volvo will replace the hubs with those that are properly rated for the weight they need to bear. This will be done free of charge. The recall will begin in February 2017. Volvo Trucks North America has issued a recall of certain 2013-2017 VNL and VNM models and 2017 VNX truck models. In the affected vehicles, incorrect software for controlling the electronic air dryer may result in oil and water contaminating the brake system. If the brake system becomes contaminated braking performance could be affected, increasing the risk of a crash. The recall affects just over 6,100 trucks. No reported accidents have resulted from the defect. Volvo will notify owners, and dealers will reprogram the vehicle control module and replace the air dryer filter, free of charge. The recall is expected to begin February 17, 2017. Owners may contact Volvo customer service at 1-800-528-6586. 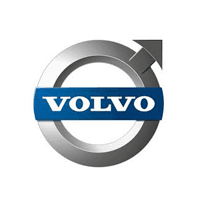 Volvo’s number for this recall is RVXX1608…. Greensboro, N.C. – Dec. 12, 2016 – Volvo Bus Corporation announced a safety recall of buses suffering from potentially severe engine issues. If left unaddressed, these flaws could create safety problems for drivers and passengers. Volvo is recalling certain buses manufactured between Jan. 7, 2008 and Aug. 25, 2016, according to documents compiled by the National Highway Traffic Safety Administration. The engines in these vehicles have power feed relays that are meant to control both the engines and transmissions. There is a chance, however, that these relays can be undersized, leading to failure. In this instance, the affected engines might stall during operation. Aug. 18, 2016 – Volvo received reports of potential safety-related issues in some of its buses. At the time, the specific problems had not yet been identified. Aug. 19, 2016 – The manufacturer opened its investigation into the vehicles. Aug. 25, 2016 – Volvo issued a delivery stop of all buses that may have been potentially affected while conducting the investigation. Aug. 29, 2016 – Volvo received information from the investigation detailing the defect and how it might affect vehicles. Sept. 27, 2016 – Volvo also shared Information shared with the Product Safety Committee. Nov. 10, 2016 – Volvo concluded that it had a safety-related defect and issued a voluntary recall. Volvo will notify owners and dealers of its recall program and replace the affected power relays, free of charge. The replacements will separate engine and transmission power into two circuits, which should reduce the load on each and prevent future problems. Volvo is recalling about 74,000 U.S. vehicles for an issue that might cause a seat belt to inadequately restrain passengers in a crash. The recall impacts each Volvo S60, S90, V60, XC60 and XC90 vehicles from the 2016-17 model years, Volvo spokesman Jim Nichols said. 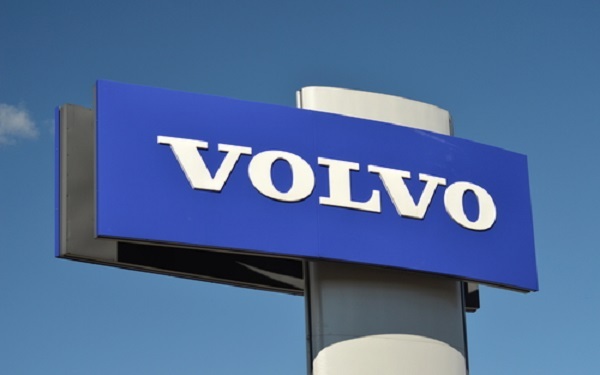 Greensboro, N.C. — August 29, 2016 — A new recall concerns several Volvo truck models that leave drivers potentially at risk of losing control during operation. The official 473 Safety Recall Report explained that 1 percent of the 129 recalled vehicles in the U.S. were estimated to have the defect. While the action affects certain VNL and VNM models, both stem from the same range of production dates: April 16 to May 4 in 2012. The recall addresses a problem associated with an axle from the manufacturer Meritor. The report said that some of the axles were “improperly heat-treated.” As a result, a beam included in the car could fracture. While it didn’t explain specifics, the report said that the fracture areas “could indicate some level of warning,” showing the driver that the fault exists. A Safety Recall Alert from June 27, 2016 said that the recall affects 19 trucks outside of the country: 16 in Canada and three in Mexico. The dealers were instructed to increase awareness of the recall among their staff, correcting these issues in affected trucks before they were sold. Meritor is a U.S. company based in Troy, Michigan. The original planned dealer notification date was June 24, with owners notified just five days later. However, owner notices and repair instructions were said to ship at July 29 at the very latest. Before this recall, the 2013 VNL was also part of a different recall announced in October, 2015. In this action, 101 units were said to have electrical system defects. The metal housing mounting points in the electric auxiliary power units in these trucks were said to potentially “crack and tear,” according to the NHTSA-filed report. Greensboro, NC — October 13, 2015 — Last month, Volvo Trucks North America released a safety recall alert regarding thousands of recently manufactured trucks. While no reports of accidents have yet surfaced, the affected vehicles could be subject to either wheel end fires or tire blowouts, due to a fault that forces the service brakes to stay in the “on” position. Repairs are expected to start on October 13, which is also the deadline for owner notification letters and repair instructions. The potential safety issue was first noticed this April, and the manufacturer submitted its official defect report to the National Highway Traffic Safety Administration (NHTSA) on August 13. According to the official Part 573 Safety Recall Report, the trim panel in recalled trucks may have a slot too small for the hand brake to settle after being engaged. As part of the remedy, the newer trim panel will have a longer slot. A total of 2,854 vehicles are possibly involved in this action, including VNL trucks produced between 2011 and 2014. In the alert document released August 19, Volvo addresses the responsibilities of dealers in this situation. “Dealers should make their personnel aware of the safety recall. In the event that a dealer has a vehicle included in the safety recall in their inventory to be sold, the condition must be corrected before releasing it to a customer,” the statement reads. As Land Line magazine notes, other Volvo recalls for trucks have surfaced, including one for the VAH brand concerning vehicles with model years between 2012 and 2016. This pertains to draglink ball socket problems rather than the trim panel.